Thanks to L.J., I rechecked a certain movie. 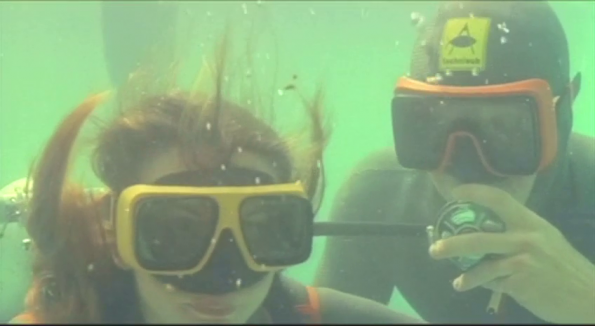 It has many scenes that are….not suitable for YouTube 😉 , but this scuba scene should be ok. 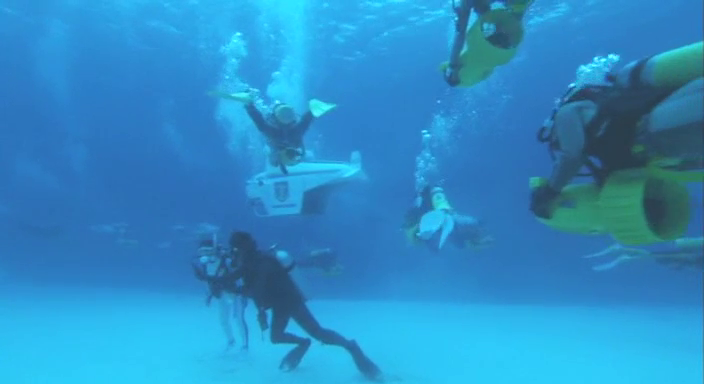 In this scene we have 2 women and 2 men preparing for a dive on a small boat and then we get to see them diving in 70’s vintage diving equipment. Can they all get up? Pretty good scenes…even the fact that the red frogwoman being “stuck” in there seems verrrrrry odd. She can move her legs and arms, the cave isn’t so narrow, how is she stuck in there? Weird scene…. And now more scenes from this movie. We have a female diver and her male buddy. They are searching the ocean floor for the plane she discovered earlier. A lot of underwater equipment! Well, I still think they should have swapped their wetsuits-types, but no luck. 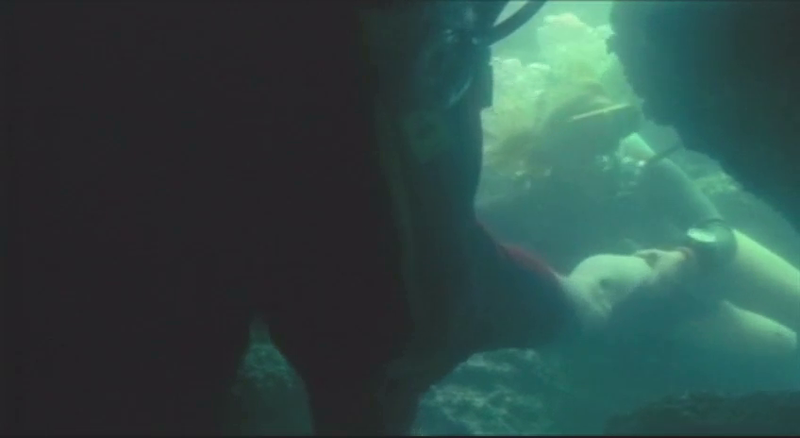 And it is really a movie for folks who like to see scuba diving scenes in movies. More than 20 minutes of scuba diving in it!